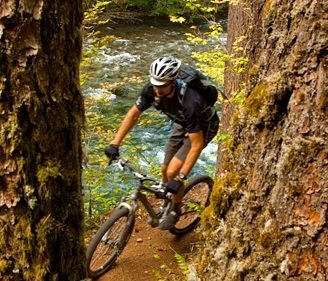 Oregon has no lack of epic waterways, but the crystal-clear, spring-fed Wild and Scenic McKenzie River is a favorite spot for mountain bikers, hikers, and rafting and fishing enthusiasts alike. It’s the lifeblood of clear, clean water for salmon and local farms in the Willamette Valley along its 90-mile stretch — which flows from the Cascade Range to the Willamette River, just north of Eugene. There’s no better time to visit than in 2018, the 50th anniversary of the national Wild and Scenic Rivers Act. Yes, it’s a special place. Here’s how to celebrate national Get Outdoors Day (June 9, 2018) — or any day — exploring the magic of the McKenzie River. It’s been called one of the top mountain bike trails in the country: a combination of scenic and technically challenging singletrack while still being accessible and insanely fun. 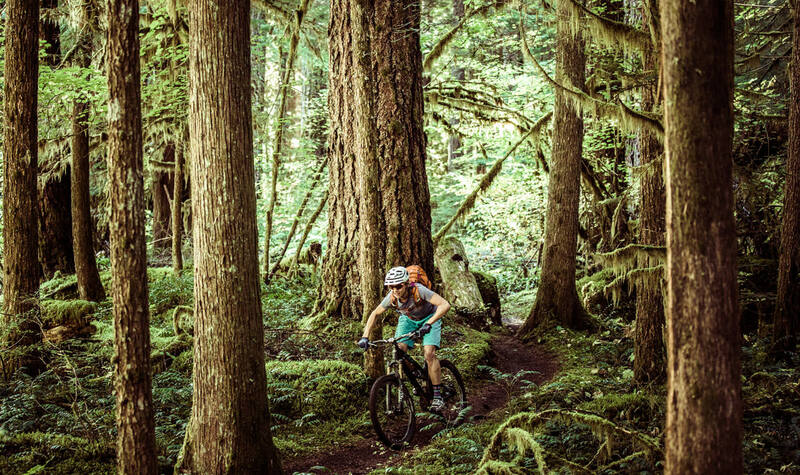 The 26-mile McKenzie River Trail will leave both hikers and bikers breathless, winding past volcanic formations and majestic Douglas firs, hemlocks and cedars. Cyclists can arrange a shuttle service, available April through November, to bike downhill ride in the van back to the top. The river is accessible for visitors of all skill levels. A number of outfitters such as Oregon Paddle Sports rent canoes, kayaks, stand-up paddleboards, rafts, inner tubes and other gear including roof racks, trailers and life jackets for dogs. If a jet boat’s more your speed, Scenic Jet Boat Tours zips you along 50 miles of the McKenzie River on a 2.5-hour tour. You can also raft the rapids for a truly exhilarating experience. 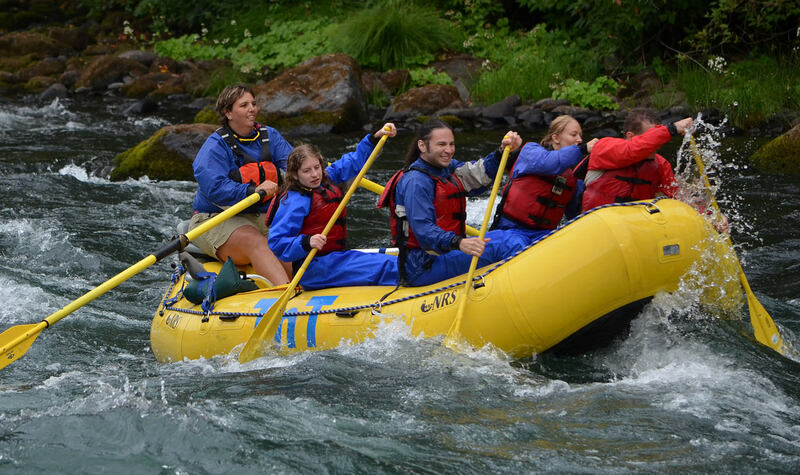 High Country Expeditions and TnT Whitewater Rafting are two of the dozens of expert outfitters that lead tours on the McKenzie through October. Year-round, the waterfall trails here are captivating. 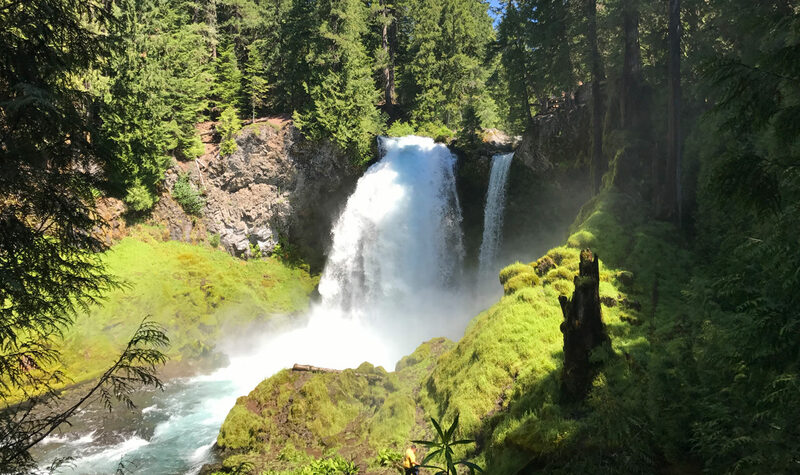 The 2.6-mile waterfalls loop trail takes you on a delightful trek through technicolor-green old-growth conifer forest to two impressive falls: Sahalie, which plunges 100 feet over a natural lava dam; and Koosah, which drops 70 feet into a deep pool. It’s a family-friendly hike with a big payoff, and if you’re really short on time or energy, you can stop at the viewing platform less than 100 feet from the parking lot. 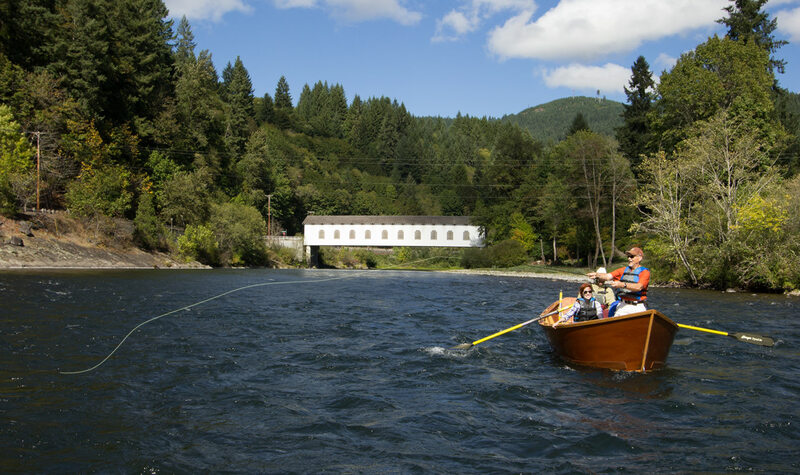 You’ll definitely want to try casting a line into the McKenzie River, world-renowned for its fishing, via an old-fashioned drift boat, a long-standing community tradition here. (Visit the McKenzie River Drift Boat Museum to see why.) This time of year, wild and hatchery trout are abundant; a number of guide services like Helrich Outfitter and Home Waters Fly Fishing offer customizable trips to help you learn how to cast and reel it in. 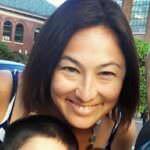 There are many expert guides; check around for the one that best suits your needs. The Belknap Bridge (also known as McKenzie River Bridge) has operated continuously here since 1890 as four different structures. 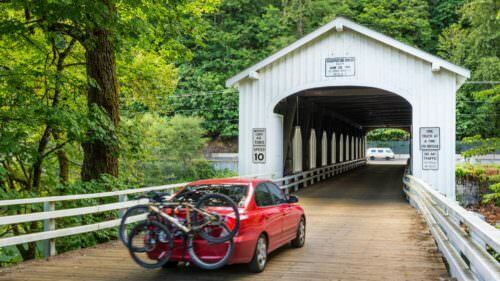 History buffs will want to visit the two covered bridges that cross the McKenzie River, both throwbacks to another era. 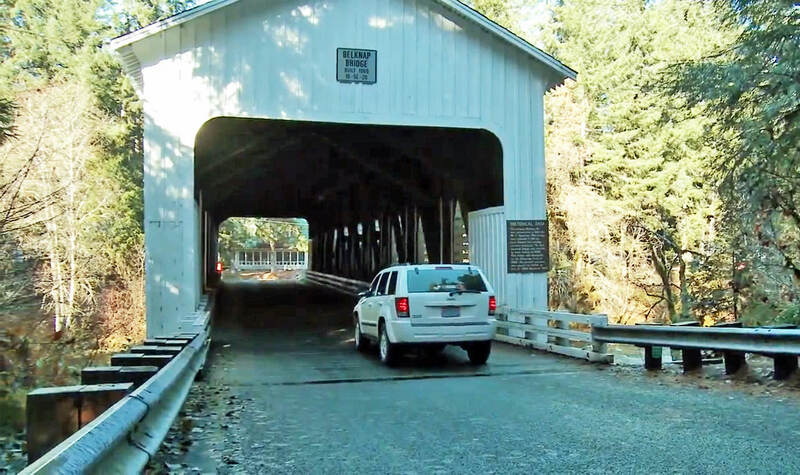 The Goodpasture Bridge, built in 1938, is a hauntingly beautiful white Gothic-style span of 165 feet that is the longest such bridge still in use in Oregon. 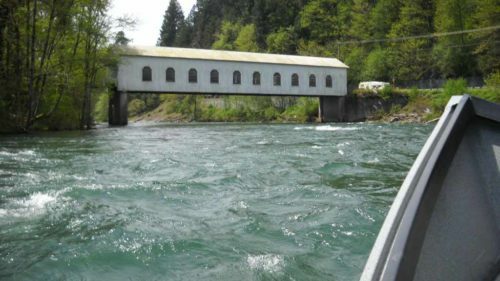 The Belknap Bridge (also known as McKenzie River Bridge) has operated continuously here since 1890 as four different structures. It’s also just a few miles downstream from Belknap Hot Springs, where steaming tiled pools and serene garden trails are the perfect resting points after a McKenzie River adventure.